Chair Pummel, originally uploaded by johnwmacdonald. 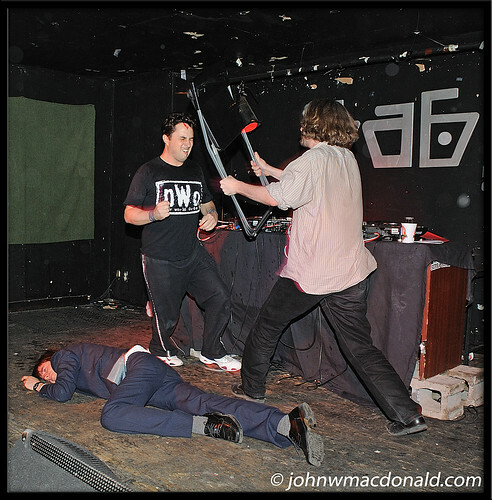 Victorious poet rob mclennan gives the nasty Nathaniel G. Moore a pummeling with a folding chair. Smack! Spencer Gordon lays motionless after a vicious unwarranted attack by Moore, now bloodied. This is poetry at its finest.